For as celebrated as the new wave of American heavy metal was and still is, birthing what would become metalcore and seeing the rise of some of the 21st Century’s most important metal bands, it’s fair to say that, like its British counterpart in the ‘70s and ‘80s, not everyone was held to the same lofty height. Just take The Agony Scene, who started life as a Christian metal band and, despite releasing their 2005 album The Darkest Red on Roadrunner, found their attempts at breaking through scuppered by As I Lay Dying arguably filling the same niche. At least with eleven years since their last album behind them, and that band’s reputation in tatters at the moment, there’s at least a chance for The Agony Scene to make something of a comeback with Tormentor. Here’s the thing though – the bands that arose from that scene and became huge at least grew that profile over time; The Agony Scene are launching themselves in all guns blazing with little to put their name to already, and while Tormentor certainly isn’t bad, it won’t do anything to push the boat out or blow anyone away with regards to what metal is doing at the minute. It’s not unimpressive either; there’s a great amount of venom in Mike Williams’ voice that comes from an across-the-board channeling of melodic death metal influences, giving tracks like Like Weeds In The Field some greater force and heft than virtually anyone from their scene currently doing the rounds. It’s actually quite impressive how little rust there is overall; for an album that marks the end of an eleven-year recording hiatus, it’s a remarkably crisp, lean listen, particularly production-wise to accentuate all the necessary edges. Even with that, though, Tormentor isn’t an album that really evolves or even feels like a band pushing themselves to their limits. It isn’t exactly safe, but it’s an unavoidably standard take on melodic death metal; compare later cuts like the title track or Serpent’s Tongue to earlier ones, and they’re no more or less fulfilling. At least that means consistency plays a big part in this album, but it’s not consistently excellent or anything, more so good with an evenness that doesn’t do a great deal in the long run. It’s definitely solid and worth some time, but Tormentor really does feels rather inessential, especially when so many other bands like this have forged legacies that effortlessly supersede them. It can’t be said that this feels phoned in at all, but it’s still one of those occasions where effort doesn’t always equal enormous quality. For diehard NWOAHM fans, it’s worth a spin or two, but don’t be surprised if they don’t exactly stick with you. 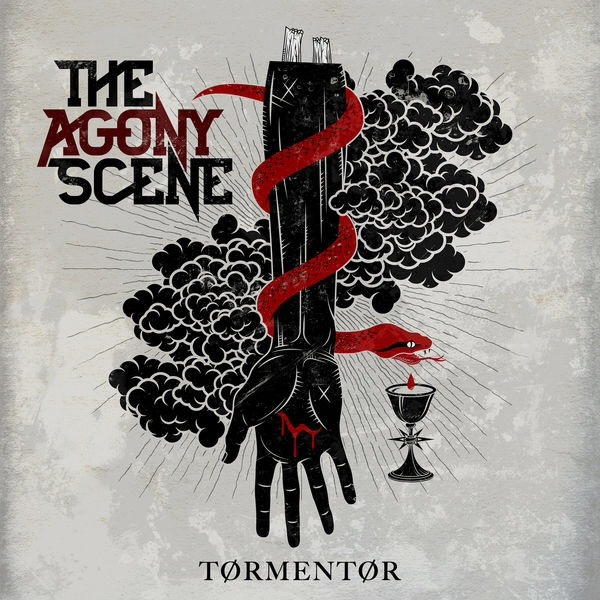 ‘Tormentor’ by The Agony Scene is released on 20th July on Outerloop Records.